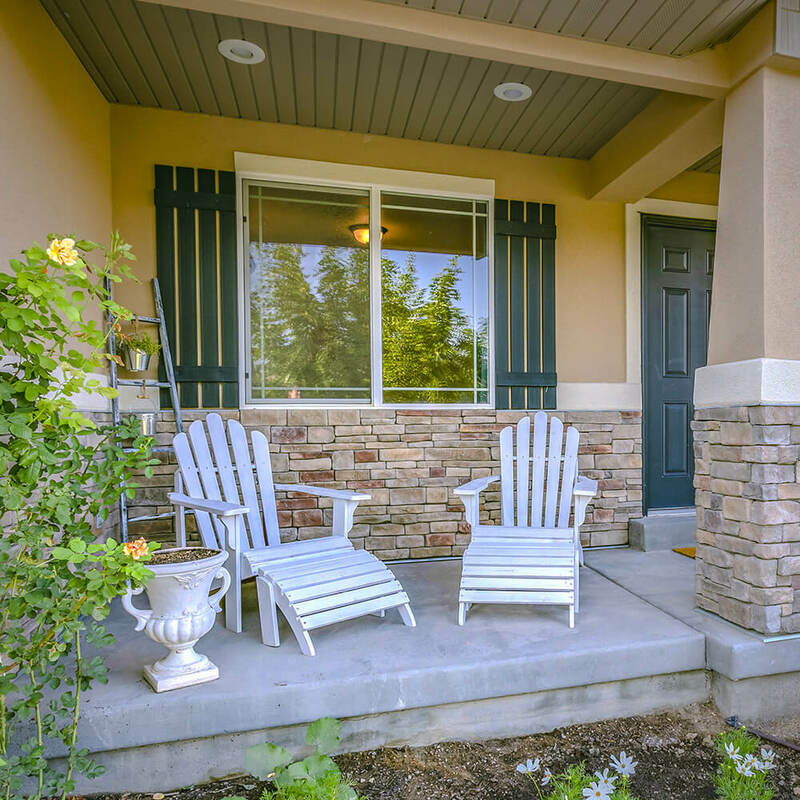 Your front door is kind of like a handshake for your visitors. You definitely have a chance to make a good first impression here on your doorstep. The easiest way is to apply a fresh coat of stain or paint. if you decide to paint, don't be shy about using a contrasting, but complementary color. This adds interest to your home and you can repeat the color on window shutters if you like. 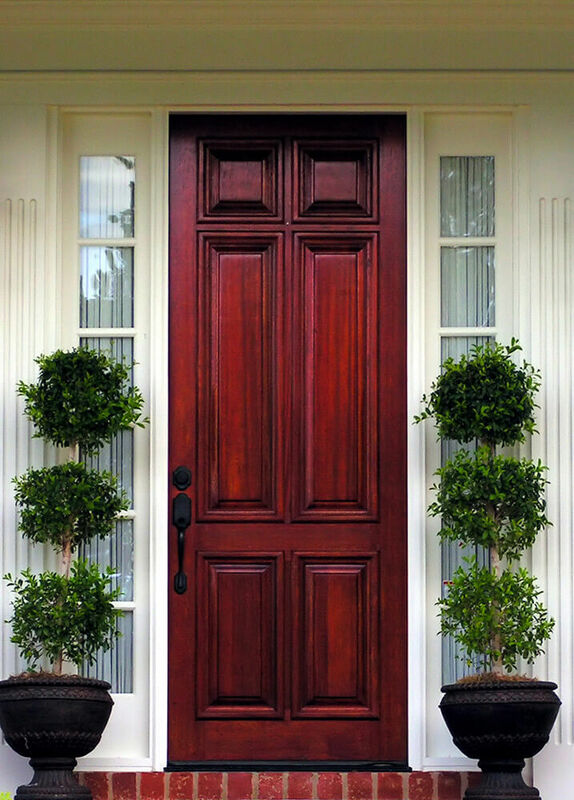 If the front door is old and worn, consider replacing it. Newdoorsaresurprisingly easy to install. Consult with your hardware store rep for instructions on how to measure for a replacement door. Over time, mildew and outdoor debris can make any home's exterior dull or unappealing. You may be used to it, but visitors will notice it right away. Power washers instantly transform the look of your home in minutes. Power wash your home's decks and exterior following the machine manufacturer's instructions. 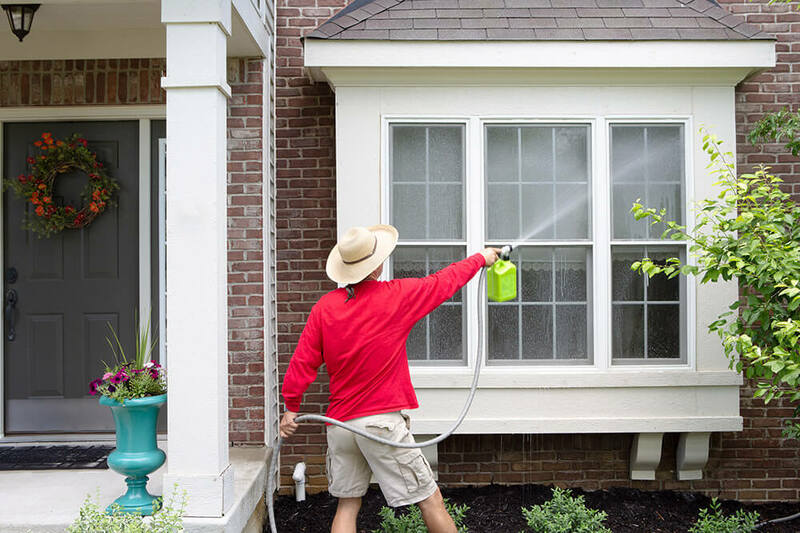 Power washing also enables you to get a good look at the underlying condition of your home's siding and deck to determine if they need to be repaired, stained or painted. Deck resurfacers &sealant can bring new life too old, worn out deck boards. 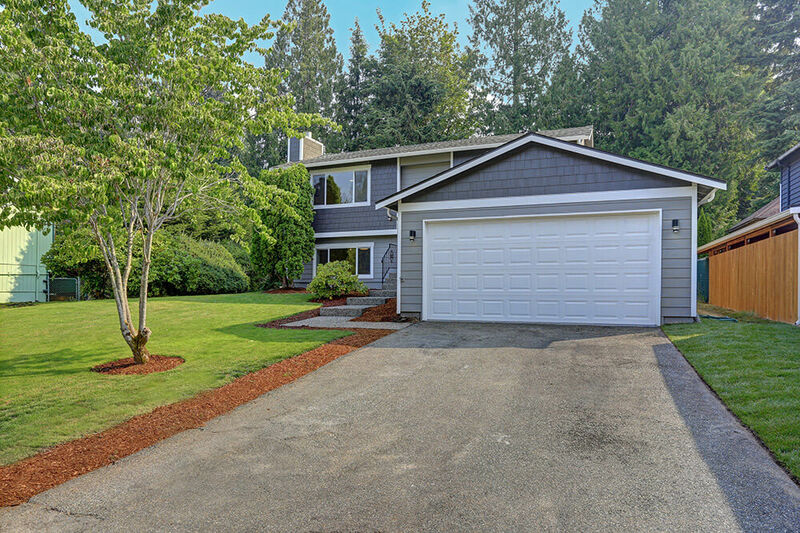 Driveways often get ignored, but they comprise a lot of square feet in the front of your home. Driveways deserve some love! The first thing to do is do edging along the driveway with an edger to highlight the borders. Next, inspect it for disrepair. Broken asphalt and cracked concrete can easily be repaired using kits you can purchase from your hardware store. Windows deserve special attention. Small touches can make a big impact. Consider hanging shutters painted in a color that matches the front door. Add window boxes on all windows on the front of the house. Upper story window boxes can be filled with faux flowers since they'll be difficult to water. Lower window boxes can be filled with seasonal ferns, flowers or even charming little dioramas with butterflies, hummingbirds, and tiny birdhouses. Be sure to stain or paint wooden window boxes so they withstand the weather. If you're so inclined, you could also hang light prism ornaments in one or more windows from the inside. If you are building your own window box, consider using lumber that has been pressure-treated to prevent rot and insect damage. Weed flower beds and remove dead debris. Carefully pull off dead leaves from stems on live plants. 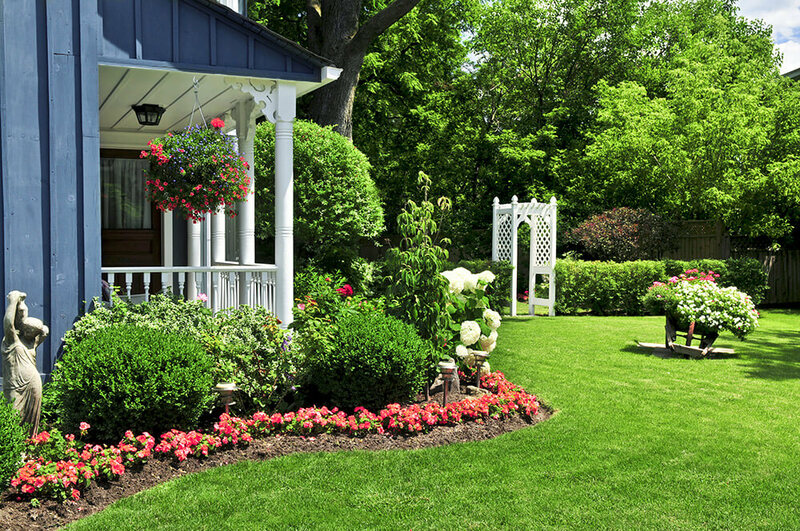 Fill in any empty spaces that had annual plantings with new plants and flowers. Consider adding accents like wooden edging or decorative low metal fencing as a visual separation from the rest of the yard. Apply fresh mulch to the flower beds to inhibit weed growth. Mulch is available in a wide range of wood types and colors. Finally, use an edger to clean up the boundaries around the edges of the flower beds. All five of these curb appeal projects are easy for anyone to complete using ordinary materials found at a hardware store. Who knew that home improvement could be so simple or so fun? !